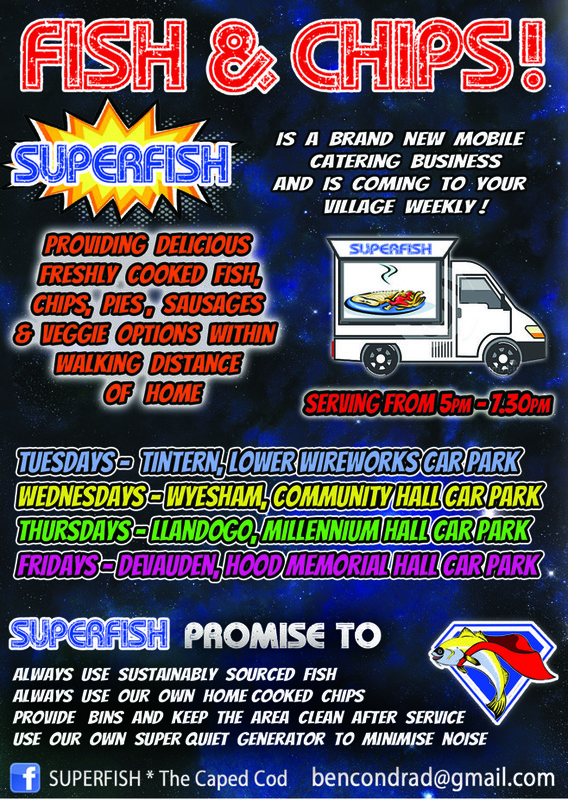 Mobile Fish & Chip kitchen visiting Tintern Lower Wireworks car park every Tuesday from 5.00pm to 7.30pm. 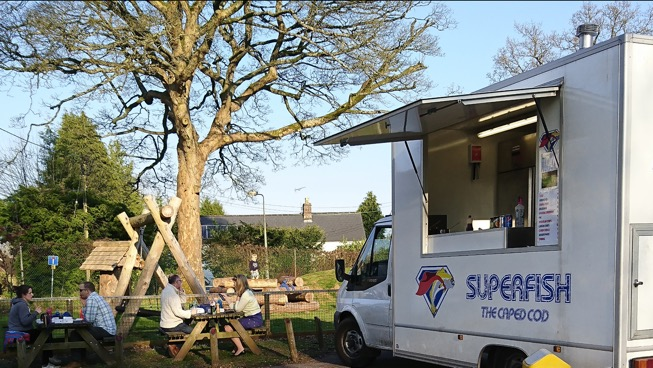 SuperFish brings delicious, freshly cooked fish, chips, pies and sausages to Tintern. The Lower Wireworks car park is just a few hundred yards up Forge Road which has its junction with the main road through the village at The Royal George Hotel.